Update the style of your YYF hubstack yo-yos with these new RiceStacks. Designed and made by Ricerocket Mods in the USA. Note: Yo-yos not included. 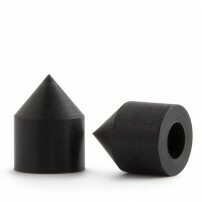 Replace your YoYoFactory HubStacks with these new fun Spike Stacks. Designed and manufactured by Ricerocket Mods.